Nowadays Aquileia is a small and rather unimportant town in the Friuli-Venezia Giulia region of north-east Italy, in the Province of Udine. However, this straggling settlement, with a population of about 3,000, was once a significant Roman city with perhaps as many as 200,000 residents. Although it is off Italy's main tourist routes, this is an important archaeological site with UNESCO World Heritage status. You can visit Aquileia as a day trip from Venice, Trieste or nearby towns, or perhaps as part of a touring holiday in this north-east corner of Italy. The town is only a few miles from the Adriatic coast, and for some pleasant variety, visitors can spend the night at Grado, a seaside resort, formerly Aquileia's sea-port. Aquileia was founded in 181BC to be a base for Roman power in this part of Europe. The town, strategically located for military and trading purposes, grew to be one of the most important cities in Roman Italy and the capital of a large area. After the Edict of Milan in 313 introduced religious tolerance, Aquileia became an important centre of early Christianity, and its bishop (patriarch) was a powerful figure. The Paleo-Christian basilica here dates back to around the time of Constantine's Edict. Being used to the idea of 'Dark Ages', it is always striking in Italy to come across the evidence of artistic and cultural continuity, here demonstrated in the famous fourth-century Roman-Christian mosaics. As the Empire crumbled, Aquileia was threatened by invasion and destroyed twice, somehow struggling through being burnt by Attila in 452. After destruction by the Lombards a hundred years later, most of the remaining population including the bishop packed up and moved to the relative safety of the lagoon island town of Grado a few miles away. That the town still had some significance is evident in the preservation of its main basilica and the addition of Renaissance finery to the building's trappings. But nothing that remains could compare with the vanished city. Aquileia today is an evocative site; where scattered housing and fields now cover the site of once-busy urban streets. The ruined port is silent, and noticeboards explain how the local residents built frantic defences against Attila the Hun, building protective walls with any marbles and sculptures that came to hand. You may see signs around here in a variety of languages. For five hundred years Aquileia was under Austrian rule, only becoming part of Italy in 1915. Nowadays the region borders Austria and Slovenia, and it's common to see signs in German and Slovenian as well as Italian. There is quite a lot to see in Aquileia if you take your history seriously, including two museums, outdoor sites and the famous mosaic in the basilica. As usual, a good first stop is the local tourist information office, which is in the square by the basilica. You can check opening times and pick up little leaflets with maps of the sights (available in English). See below for details of bus stops. The main square, Piazza Capitolo, a few yards off the main road, is large and picturesque, dominated by the large basilica and its massive eleventh-century white stone campanile (belltower). 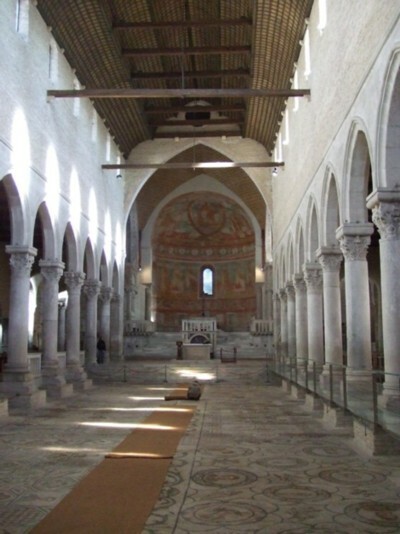 The basilica is the surviving part of a huge complex built by Bishop Theodore for Aquileia's early Christians, and is still used for religious services today. The interior is lofty, with columns running towards the frescoed apse. 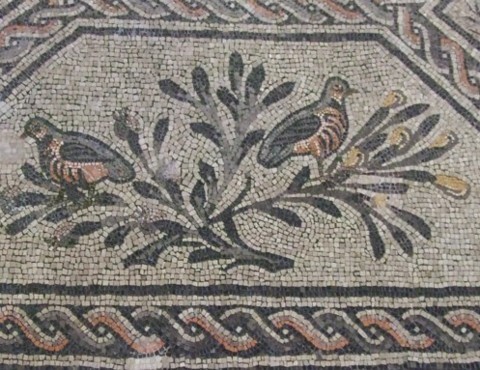 The most striking feature is the huge fourth-century mosaic floor. Glass walkways run either side of the nave so that visitors can admire the decoration without damaging it. 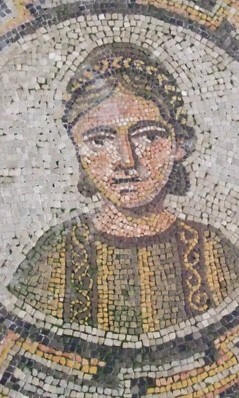 The mosaic features early Christian iconography such as a contest between a cockerel and a tortoise ('light' and 'dark'), representations of the seasons and depictions of faces (members of the congregation who'd contributed towards building work, perhaps). Towards the altar is an illustration of the story of Jonah and the whale, complete with a range of swimming sea-creatures. There are two separate crypts within the basilica which you should visit; a staff member will sell you a ticket and unlock doors. The Cripta degli Affreschi ('Fresco Crypt') is close to the altar and contains some charming faded twelfth-century frescoes. The Cripta degli Scavi ('Crypt of the Excavations') is reached through a doorway to the left as you enter the basilica. There are several levels of archaeology here: geometric mosaics which probably paved a Roman house, then terracotta flooring from the earlier stage of the basilica complex and then more fourth-century mosaic. The later campanile was constructed right in the middle, destroying some of the mosaic. You can walk around the base of the tower on a glass walkway above the mosaic - look out for another contest between cockerel and tortoise, by the tower foundations. Admission to the basilica is free; there is a combined charge for visiting the two crypts. There are several outdoor archaeological areas dotted around Aquileia, and various sets of excavations in progress. The public sites are open during daylight (free admission) and generally have information boards. Although they give an idea of the extent of the town, they are not in themselves the most impressive ruins you'll see in Italy, consisting mostly of low walls, a few weathered mosaics and a bit of reconstruction. The Roman river port is the site which offers most to the imagination; quite a large area is uncovered and visitors can contrast the quietness nowadays with the bustle that must have filled the area long ago. Goods from ships were unloaded at Grado, by the sea, and transferred to smaller vessels to be brought up the widened River Natisone to this spot. Aquileia's forum, along the main road, has also been uncovered and some columns have been reconstructed. Maps at the tourist office help you to track down the various sites. To the north of Aquileia, in an outlying hamlet called Monastero, is a Museum of Early Christianity built over the remains of another basilica. This museum, the Museo Paleocristiano, is open only in the mornings. From Piazza Capitolo, you can walk along the pleasant tree-lined archaeological route which passes the ruins of the river port. When the path emerges onto a road, follow signs to the museum. As the name suggests, Monastero was once a monastery, later turned into agricultural buildings. The main feature of the museum (free admission) is another large mosaic floor, dating to the late fourth century and rumpled by time. It is embellished with inscriptions commemorating donors who contributed to the basilica's construction. As well as some scraps of fresco on the walls, the museum contains carvings and other local finds, including more mosaic fragments featuring animals and birds. The Museo Archeologico Nazionale, on the main road a short distance south of the Basilica, was first formed when this area was under Austrian rule. It has excellent collections of local archaeological finds spread over three floors of the building and piled high in its gardens, although there isn't much labelling to give context to the exhibits. There are lovely displays of carved gems made in local workshops and of Roman jewellery including finery such as a necklace made of tiny gold shells, and little gold flies which once decorated clothing. Two fine bronze heads found at the forum give an idea of the grandeur of ancient Aquileia. Admission costs €4. 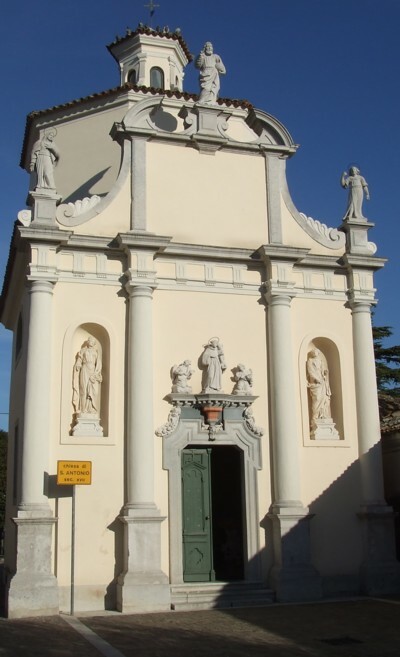 Just past the museum on a side street is the pretty seventeenth-century Chiesa di Sant' Antonio. Further down the street are some attractive country-town style buildings, Aquileia's youth hostel, a piazza alongside the river and some more 'local' places for refreshments. Signposts direct you to the right to the Sepolcreto, a reconstructed stretch of five family tombs. Set in a dip behind local back-gardens it has a rather strange suburban feel. Walking back towards the main road there are views towards the mountains, over more incomplete excavations. A field ploughed smooth is bordered by piles of large stones, many of them worked for building; a reminder that all this was once city. Check the opening times for the day you visit and plan your programme accordingly. There's a lot of walking and some of the open-air archaeological sites are in grassy fields which can get muddy, so wear sensible footwear. I visited the site quite thoroughly and spent four and a half hours in Aquileia, with just a half-hour break for lunch. Allow plenty of time and be prepared for a tiring day. It's best to avoid visiting on a Monday, when opening hours are limited. There are a few restaurants where you can take a lunchtime break from exploring, and also a supermarket. For a light, quick snack you could try one of the bars near Piazza Capitolo. The most direct way to get to Aquileia from the UK is to fly to Trieste Airport (also known as the Aeroporto Friuli-Venezia Giulia), just nine miles away, which is served by Ryanair flights. A car is useful for exploring this area of Italy - there is a pay car park in Aquileia on the main road just north of Piazza Capitolo - but there are also quite good public transport services. There are even a few buses from the airport which stop at Aquileia (see APT timetables, links panel on the right). Other convenient airports include Venice Marco Polo and Venice Treviso in the Veneto - from Venice or Treviso you can take the train up into Friuli-Venezia Giulia, or drive. If you are travelling from Venice and the Veneto, or - in the opposite direction - from Trieste, it is possible to take the train to within a few miles of Aquileia. The nearest station is at Cervignano, on the railway line between Venice (90 minutes away) and Trieste (30 minutes). Two companies run bus services connecting Cervignano and Aquileia (they continue to Grado). SAF buses (blue coaches) start right by the station and are timed to coincide with trains, but they'll leave very promptly so travellers need to move fast. Inside the station building there is a news-stand where you can buy bus tickets; by the time you've done this and nipped back outside the bus is probably waiting to leave. Services are irregular but there is usually more than one per hour - you can consult timetables in advance online (see links panel). Aquileia is about 10 minutes away: the main bus stop is easy to spot since it's after you've passed the main sights; just after you pass the Museo Archeologico on the right. There is another, earlier stop which might be handier if you want to visit the Monastero area first. If in doubt, ask the bus driver to advise you. If you haven't stocked up with tickets for your return trip, or if you are continuing by bus to Grado, you can buy tickets at a tobaccanists' on the main road (identified by the 'T' outside) or at the Bar degli Scavi, near the basilica. The tourist information office should have a timetable; it's a good idea to plan your day's timings in advance. A few services on the same route are also run by APT (see links panel); integrated bus tickets are valid on either service. 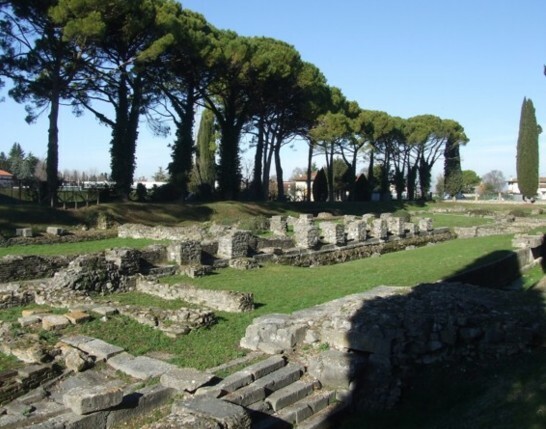 If you are visiting Aquileia you should try to find time to see Grado (more below). Grado too was once more important than it is nowadays: it was a northern rival to Venice, and sits, like Venice, in a lagoon alongside the Adriatic sea. Today it is a seaside resort, not much known to English-speaking travellers. Another interesting sight is Palmanova; a fortified town shaped like a star. The principal towns and sights of this area include Trieste, Udine and the Lombard town Cividale del Friuli. If you're planning an overnight stay near Aquileia, we recommend following the example of the long-ago Aquileians and heading out to the lagoon/sea island of Grado, just a few miles (a 10-minute bus ride) to the south. It's a popular resort with lots of accommodation (although not much choice out of season), and with good restaurants and services. However, there are also a couple of places to stay in Aquileia close to the ruins, and other rural accommodation options nearby.